TYLER, TX (KLTV) - Switching careers turned into a leap of faith for one East Texas woman. Leaving full-time ministry to become a professional photographer helped Callynth Finney see the world differently. From her studio on the downtown Tyler square, Finney "sees people" for a living. Portraits, weddings, and new arrivals are just some of the memories she captures in still frames. She sees it as a gift. "Everybody loves to give a gift and the gift be well-received and the gift be loved. I get to do that all the time." In 2014, she opened her own business after working as a missionary for Youth With a Mission. This major shift in her daily life has Finney peering through a different lens. "We don't need to look for ministry opportunities. When the eyes of our heart are open, we naturally see them in every day circumstances," she said. "You see things differently when you're aware of God's love." Her focus has become a deeper connection with her community. Along the way, she's formed friendships with people who are sometimes forgotten, such as the homeless. "There something to learn from every single person. We all have a story that's equally as important as the next and all very different. I get a pretty well rounded experience being here and meeting lots of different people." Even though she's left full-time ministry, the small business owner says this venture still allows her to share love with others. "It's not just about taking somebody's picture. It's an experience. You know, you're connecting with somebody during that time." 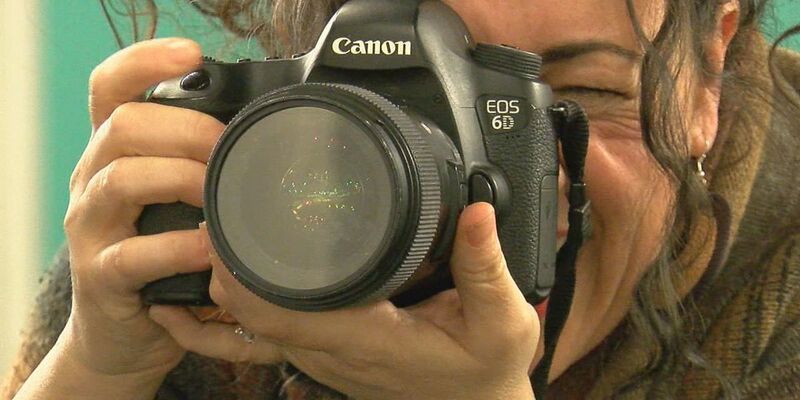 With every snap of her camera’s shutter, her clients' smiles are proof of that connection. “Sometimes we’re the only ‘Jesus’ that people see. And that’s how God loves is through other people. So we have an incredible opportunity to do that -- to be his hands and feet and love others.”While her day job may look very different, Finney says her business has developed into spiritual journey that’s framed by trust in God.